Blackwell, Massachusetts may seem like an ordinary small town at first glance. It was founded in the 1700s by William and Hallie Brady and a few other brave families. Since then, children have been born and grandparents have died but the original families continue to live in the town. Things are not as simple as they may seem in Blackwell - the ghost of a young girl haunts the banks of the river, its inhabitants have unusual encounters with bears, and the soil in the garden of the Brady family home turns everything blood red. This town and its citizens have plenty of secrets, a lot of shared history, and maybe even a little magic. This is my second foray into the books of Alice Hoffman and I was not disappointed. Each chapter is distinct, but interconnected. One chapter might deal with the Brady family and then the next would be about the children of their neighbors. The characters we meet in these stories are the ones who don't quite fit within the narrow confines of their town's expectations - Hallie Brady, who single-handedly saved her fellow settlers from starvation during that first winter, the precocious daughter of the schoolteacher who keeps her mother's past a secret, and the mysterious fisherman's wife, who speaks to no one. 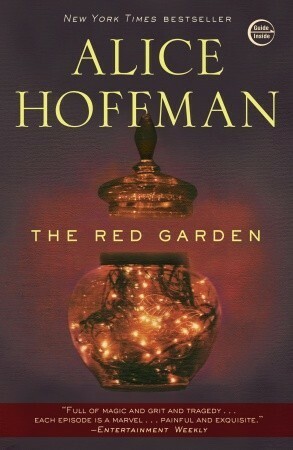 Hoffman does so much within these short, heartfelt stories. We see 200 years of history through the lens of a tiny town, so change is slow but persistent. While reading, you may feel like you have climbed into a fairy tale. But magic can't always save the men and women of Blackwell from isolation, heartache, and terrible loss. The writing is gorgeous and I found myself lost in Hoffman's words, in the stories of her characters, and in this strange little town and its beloved legends. I would love to have had a family/town tree while reading this novel. I know that I missed some connections throughout. But I suppose that's alright - it just gives me an excuse to read these wonderful stories again. I need to put this book on my TBR list. I love Alice Hoffman! Since you liked this I recommend The Blackbird House. But all of her books are good. I will definitely get that one next. I was wondering which one to pick I should read as my third Hoffman book, so thank you!